Get financial clarity, insight, and analysis delivered straight to your inbox. Subscribe to our weekly blog. 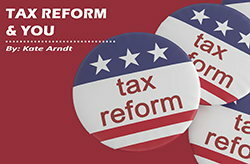 The Tax Cuts and Jobs Act bill has many Americans wondering just how they’ll be affected by the first major tax overhaul in nearly thirty years. 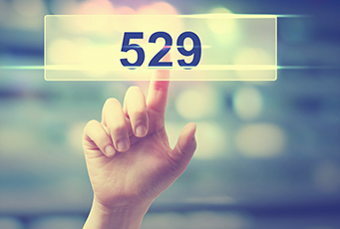 If you own a 529 account, you’ll want to be sure to stay abreast of the changes to your plan in order to take full advantage of any new benefits that are coming. We’ve highlighted the main changes to 529 plans and how they might impact your education savings! 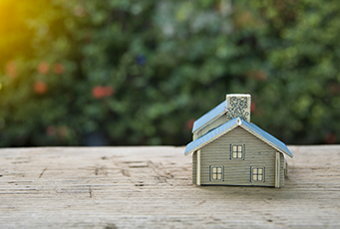 We’re coming off the best year for existing home sales in 11 years…so is now the right time for you to downsize? Many might advise you to take the money and run, but it could come at a cost. 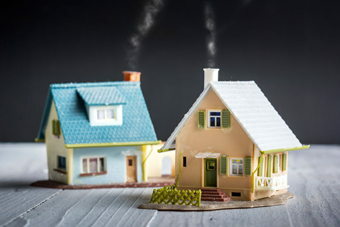 We’ve outlined the pros and cons for downsizing, and what each might mean for your bottom line. Dreaming of a Second Home? 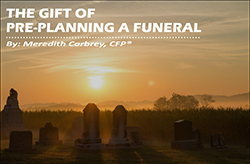 Chances are planning your own funeral probably isn’t high on your list of things you’d like to do. But taking the time now to plan how you would like your life to be celebrated can be a wonderful gift for your family and friends, removing undue stress from them during an already emotional time. 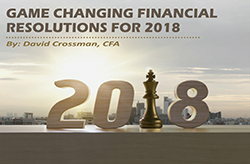 What is your financial resolution for 2018? Our advice, start with: Reducing your credit card debt; Building an emergency fund; and Increasing your retirement savings. 1,097 pages! That’s how many pages are in the Tax Cuts and Jobs Act, signed into law by President Trump on December 22nd. If you haven’t had time to read each page, we’ve broken down the main areas that might have the largest impact on you and your family. It might just be time to update your tax planning strategy for 2018! 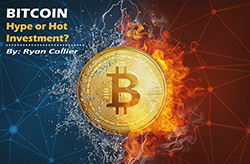 Bitcoin – Hype or Hot Investment? Bitcoin is a daily fixture on the news recently, thanks to its nearly 1,600 percent return this year. But do you really understand what it is? It’s not called a cryptocurrency for nothing. We’ll make it a bit less cryptic for you! 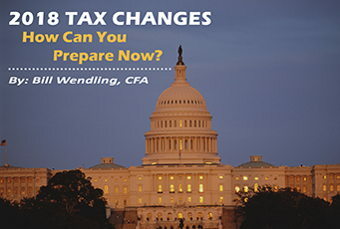 2018 Tax Changes: How Can You Prepare Now? Unless you have a crystal ball, it’s hard to predict what tax changes might be coming our way in 2018. But there are several strategies you can implement before December 31st that could better position you to take advantage of the 2018 changes. 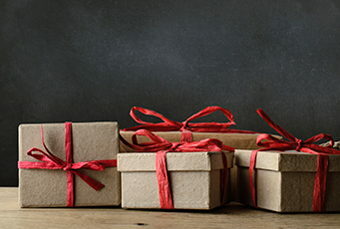 When donating to charity, it’s important to develop a strategy that meshes with your financial goals and tax situation. Is Your Money Safe? 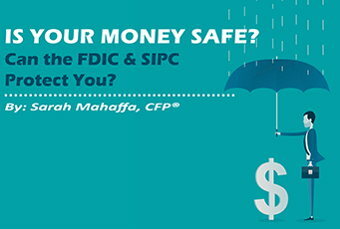 Can the FDIC & SIPC Protect You? If your bank or brokerage firm failed, do you know what would happen to your money and investments? Thankfully, FDIC and SIPC insurance is there to protect you and your savings, but only up to a specified amount. Find out just how much you’re covered! 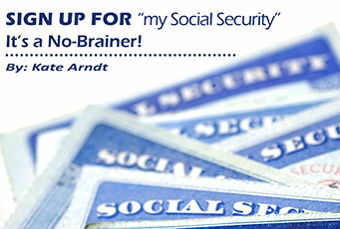 Sign Up for “my Social Security” – It’s a No-Brainer! Gone are the days of standing in never-ending lines at the Social Security office! With an account on the my Social Security site, a plethora of information is at your fingertips. We’ve highlighted the perks here. 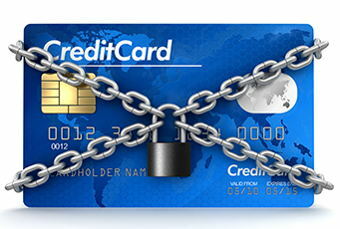 Keeping your credit secure is more difficult than ever. Perhaps the safest course of action is to freeze your credit. Here’s what you need to know.